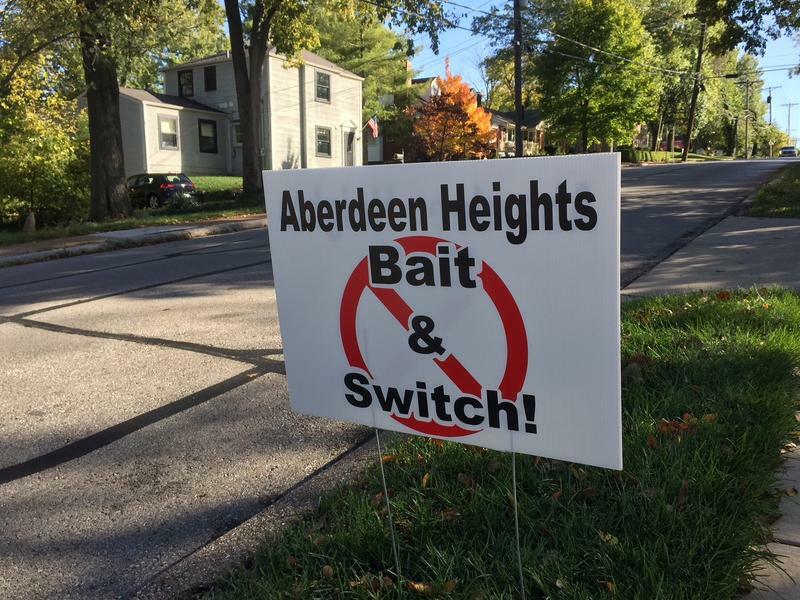 Opponents to an expansion plan have launched a petition drive and put up signs in yards in the neighborhood around Aberdeen Heights in Kirkwood. The debate in a west St. Louis County suburb over the proposed expansion of a senior living community could be over early in the new year. That's when the Kirkwood City Council could make a decision on whether the owners of Aberdeen Heights can move forward with plans to add a multi-story apartment building on its 20-acre complex. Owners say the expansion is needed to keep up with demand, while a group of neighbors has several concerns about the project. Kathy Paulsen lives near Aberdeen Heights, and is part of the Kirkwood Citizens Action group. It is opposing the expansion as proposed. Members have raised concerns about an increase in traffic, potential safety issues and the fact that the current plan is a change from an agreement reached a decade ago. That called for any future expansion to be limited to 18 cottages. There are also concerns about whether more growth will occur. That is on the minds of several Kirkwood residents who have talked to Paulsen. "The general comment was enough is enough," she said. "Most people are aware of what's gone on with this site in the past and feel like Aberdeen should be happy with what Kirkwood allowed them to do and we reached a harmonious kind of agreement." Aberdeen Heights, located, at 575 Couch Ave., is on the site of the former SSM St. Joseph Hospital in southwest Kirkwood, near St. Louis Community College's Meramec campus. The facility, built in 2010, is owned by Kansas-based Presbyterian Manors of Mid-America. Its chief executive officer is not aware of an decade-old agreement beyond a special use permit with the city. That permit establishes the parameters Aberdeen Heights needs to follow because there are no regulations for such a development, CEO Bruce Shogren said. "That's the only thing that I know about that's out there." The company is seeking to reduce the amount of green space on the property from 55 percent to 50. The other revision deals with the number of units allowed. "Really, it's a pretty minor increase from what we originally had," Shogren said. The expansion calls for 50 additional independent living apartments, 18 more memory care spaces, and 16 additional private nursing suites. The proposal includes a dining venue and chapel. Even thought there are no plans for more growth, Shogren admitted that could change. "Are we looking right now to do anything different? Right now, all I can tell you is no," he said. "Will I guarantee you someone else may come in and something may change down the road? That may change that." Nearby residents have started a petition drive to rein-in the growth plans at Aberdeen Heights. "It's just unacceptable and it raises questions about the future and viability of our neighborhood," Paulsen said. "And I believe that's what other Kirkwood residents are keyed into." The issue is expected to come up at a city Planning and Zoning Commission meeting on Dec. 6 and go to the full City Council early next year. Kirkwood officials have said the project is going through the proper review process, which includes an assessment of requirements in the city's zoning code. The earliest the council could hold a public hearing on the proposal is Jan. 4, according to Kirkwood city planner, Jonathan D. Raiche. 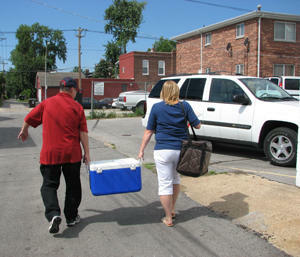 This post first appeared in the St. Louis Beacon: August 13, 2008 - They call them "meal holidays" or "dark days." As costs have risen faster than funding, some social service agencies are facing tough decisions about providing meals for the senior citizens who rely on them. Others are looking for ways to keep afloat as demands for help multiply faster than the dollars coming into their coffers. 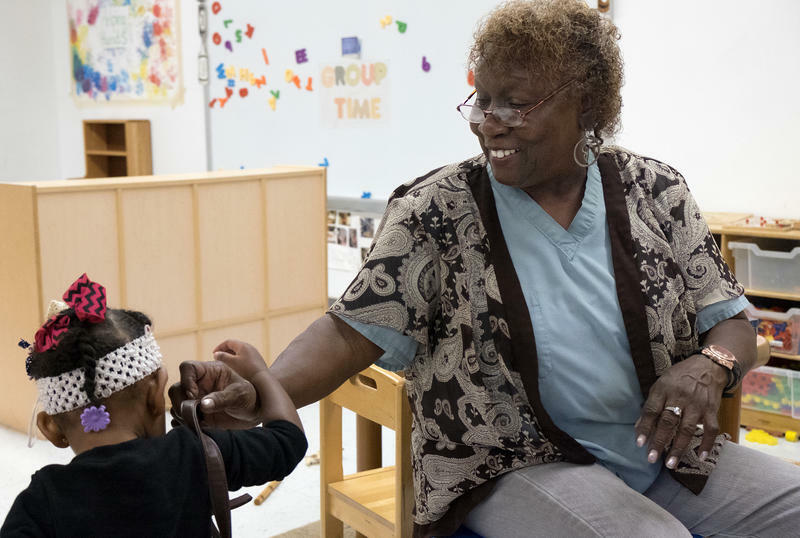 On Thursday’s St. Louis on the Air, Aarya Locker, the director of Cardinal Ritter Senior Services’ Foster Grandparents program joined host Don Marsh to discuss how seniors can serve as foster grandparents/mentors to low income children with special needs. This article first appeared in the St. Louis Beacon: Walking carefully with the help of his son but looking remarkably well, Mike Swoboda entered the room to a standing ovation. Fifty people stood around the edge of the spectator section, which seated another 75. More than 50 others spilled out the door and into the gentle spring air. A battery of five television cameras in the back of the room recorded the event.